Portugal’s M&A Digital received the Heritage in Motion Best Achievement Award for its project The Roman heritage: PO.RO.S – Museu Portugal Romano em Sicó during a ceremony held on the evening of 21 September in Aarhus, Denmark. 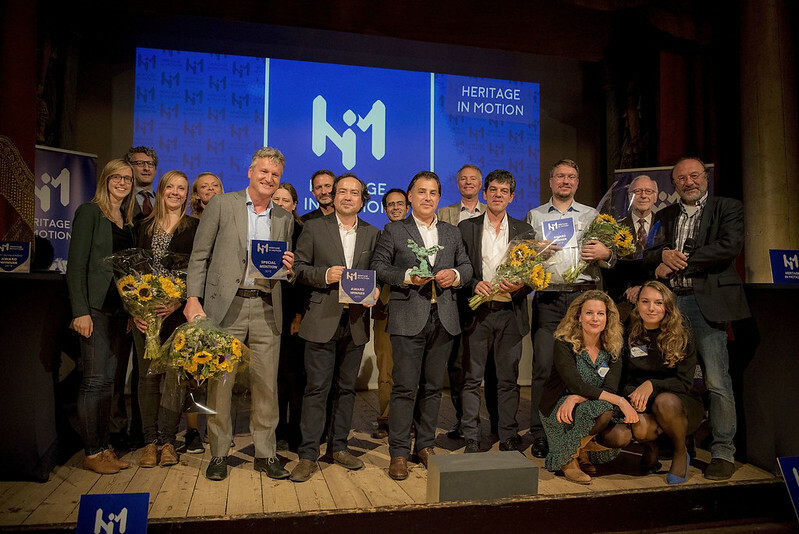 Heritage in Motion is an annual multimedia competition on themes related to Europe’s cultural and natural heritage for the creators and users of films, games, apps and websites. It celebrates the best multimedia achievements that engage the public with Europe’s outstanding heritage in all its forms. Heritage in Motion is a joint initiative of the European Museum Academy and Europa Nostra and is powered by Europeana. The Jury was unanimous in declaring the M&A Digital as the winner of the Best Achievement Award. The Roman heritage: PO.RO.S – Museu Portugal Romano em Sicó is an innovative space, using archaeological objects and the latest technology. It is possible to travel in time and discover everything about the men and women who have changed this territory forever. “The strength of this project lies in the innovative, well balanced and public friendly combination of techniques,” stated the jury. Two winners in other categories were also announced at the ceremony held at the Museum Den Gamle By during the annual conference of the European Museum Academy. “This extensive innovative project opens up new prospects for the use of digital tools in the field of museology,” noted the jury. “This elegant Spanish interpretation of an iconic Russian heritage site uses the facade of the building as a stage for a spectacular and entertaining performance,” emphasised the jury. Heritage in Motion is part of Europa Nostra’s network project ‘Sharing Heritage – Sharing Values’, which has the support of the Creative Europe programme of the European Union.